Power washing and pressure cleaning are known to be the #1 rated methods to add instant curb appeal back into your property, without breaking the bank. Here at Annapolis Brothers Power Washing in Edgewater Md 21037, we will provide you with fast and affordable exterior washing services for your residential and commercial properties. Our team of pressure washers are reliable, highly qualified and will arrive on time! We are fully licensed and insured, so you do not have to worry! With over 15 years of experience we know how to keep our customers satisfied and provide each client with the 5 star services they deserve. Call Today to Schedule a Free Quote, or Fill out our Contact Form! 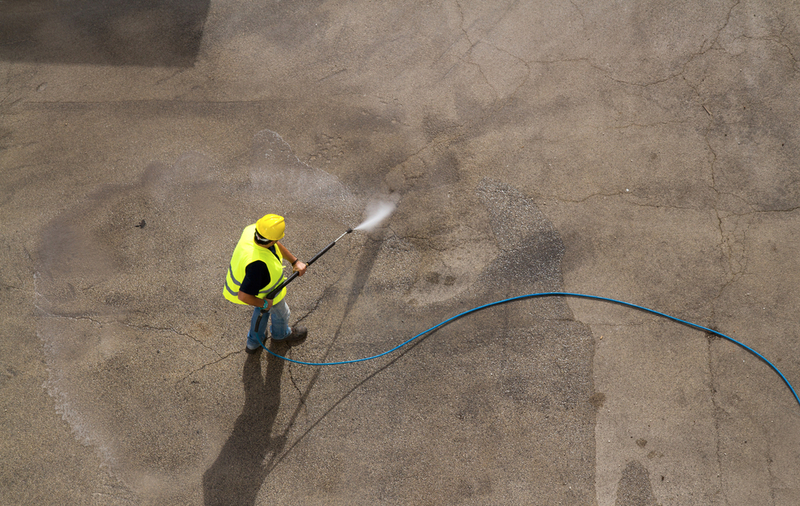 When you choose Annapolis Brothers Power Washing, to assist you in cleaning your residential or commercial property, we guarantee complete satisfaction. Our exterior washing methods have been perfected, and our deep cleaning solutions will keep surfaces around your property cleaner longer. If you have been in need of a fully insured company in Edgewater Md, to take care of all exterior washing and beautifying services, look no further! The majority of household tasks, homeowners can handle themselves, but leave the exterior washing services to the pro’s. Many homeowners just assume it will be easier and cheaper to take on these large tasks by themselves, but most of the time damage is caused by an inexperienced user, leaving them with costly repairs and a large mess to clean up. So, allow our trained professionals to save you time, energy and money today. We have all the right equipment, techniques, and the man power to get the job done quickly and leave your homes surfaces spot free! Hire us for our pressure washing services in Edgewater Md today! We mainly use a cleaning method called “soft washing.” The cleaning approach we use is gentle enough for your roof but effective enough to offer a deep wash. This helps to keep your roof and siding clean for many years, as opposed to high levels of pressure washing which must be done annually and can potentially damage surrounding surfaces. Our certified cleaning technicians will let you know which type of method will be best for your home or business, whether it is pressure cleaning or soft washing. We offer and can guarantee the same high level of promised quality for all exterior washing methods and industrial machinery clean up. In addition to our pressure cleaning, our satisfied customers appreciate our quick, efficient window cleaning services. We use the latest methods and professional products to make your window glass spotless, inside and out. No matter what’s making your windows looking subpar- if it is dirt, dust, bird droppings or water spots, we have the solutions to make them streak-free. When we’re done, your windows will be crystal clear! Call Us For a Free Window Cleaning Estimate! If your yearly maintenance for your deck, patio, roof, or driveway is due for a cleaning, it is time to call your local Power Washing Company in Edgewater Md. We offer a wide selection of services from environmentally safe eco-friendly soft washing to the more traditional pressure cleaning services. We will clean any of the following and almost any other exterior surface! Although many homeowners attempt to pressure wash their home and their other exterior surroundings themselves, many feel there is a lack of time to get it all done! Thats where we come in, Annapolis Brothers Power Washing will help check off power washing from your to-do list. While giving you the time and energy to focus on other projects around your home. Our team of pressure washers are fast and detailed. If you have been wondering how much it will cost to soft wash your home, contact us today to set up a free estimate. The way your business appears to customers has the power to attract or deter new clients. What better way to freshen the exterior appearance than by allowing the professionals in Edgewater Md, to pressure clean any of the following surfaces. If you do not see the specific service you are looking for, give us a call, and we will let you know if we can clean it for you! Our professional employees will assist you in making your store front, or business property look fresh and good as new. We specialize in the safe and effective removal of dirt, grime, mold and mildew build-up from siding, stucco, brick, and metal exterior. Using our risk-free low pressure washing exterior cleaning method, we’ll make your business shine. One of the things that we pride ourselves on is being able to offer a variety of services. We know you have more service needs than just pressure washing or just pressure cleaning your home in Edgewater Md. So, we want to be your one-stop shop for the majority of common tasks requested for exterior cleaning and improvement work. Sidewalk cleaning, roof washing, mold removal and deck cleaning are a few examples of the other tasks we can take care of. Contact us today in order to find out all that we offer and to get a customized quote. As a pressure cleaning company in Edgewater Md, we have been in business for over 15 years and are dedicated to giving each customer our best. Which is why we can firmly stand behind when we say 100% satisfaction guaranteed. Each member of our team is properly trained, polite, and will treat your belongings with respect. When you choose us, your choosing high quality washing services offered at affordable prices. We heard about annapolis brothers power washing from our neighbors, and they were right- these guys are the best pressure cleaners around maryland! We will be calling again soon to have our roof cleaned. This company is efficient and fast when power washing. The employees are friendly and get straight to work. We were very impressed with the finished results of our clean, dirt free home!! We give annapolis brothers power washing 5 stars! They do such a great job at pressure cleaning. They cleaned our front deck and it looks brand new! We will be repeat customers. High quality power washing services, friendly employees. 5 star company. Wonderful people to work with. Great communication and reasonable prices for such high quality services. These guys do excellent work, they were able to remove the stubborn streaks on my roof in no time. They were also very careful about not ruining our flower beds near the house. Thanks for such great service. Best power washing company in town! They are professional and polite.